If you're reading this blog, you're bound to love chocolate. Elizabeth Wright at EducationDegrees.com has put together a great list of the Top 50 Chocolate Blogs. Wonderful Compilation! One correction. Elizabeth uses the term Chocolatier.. the chocolate blog enthusiasts are not all chocolatiers, although they may be 'chocolateers'. She's divided the list into Top Chocolate Blogs by a Group, Top Chocolate Blogs by a Reviewer, Top Chocolate Blogs by an Individual, Top Chocolate Plus Blogs, Top Chocolate Candy Blogs, Top Other Chocolate Blogs. Stop here for the official blog of Lake Champlain Chocolates which is located in Burlington, Vermont. With over 20 years in operation, they are best known for their Chocolates of Vermont. Blog entries often show readers how to make their own professional chocolate dishes at home. Based in London with a dedicated team of writers from around the world, their mission is to find and review the best chocolate in the world. They will keep you up to date with all the latest chocolate news, shared recipes, and generally chocolate talk. Everything from recipes to reviews and more are featured. The tagline of this blog is “discover chocolate and live la vida cocoa.” It is made up of an online community of chocophiles and those who aspire to become them. Check out the travels, events, videos, and much more all with chocolate in mind. Get a whole internet channel dedicated to chocolate here. This new food, cooking, and lifestyle program takes on everyone’s favorite culinary delight. Many blog entries are featured as videos. The NCA has been representing the candy, chocolate, and gum industry since 1884. There are items for consumers, the industry, and even health professionals. You can also click on The Fun Stuff with items for fans of chocolate. This TLC show chronicles the true story of little people who are also chocolatiers. Although not an official blog, there are loads to keep any chocolate lover happy. Clips of shows often include many useful items. Think chocolate is all fun and games? It is, but still this blog contains many news items on chocolate, along with reviews. It’s been a while since the last post, but it is still worth a look. A special spot just for chocolatiers is a standout feature here. You can also get a Recipe of the Week and more with a visit. Categories are divided into baking, dessert, bon bons, and hot chocolate recipes. To read the entire list, go HERE. Loved the blog!!! Thanks for sharing. Chocolates help me to get the stress out. It is very important to give yourself a special time to e done. Rest is one of the best time. Your blog is something that really worth to read and share. Thanks a lot for sharing this, chocolates are really fantastic! Thanks for the list! I actually find most of the blogs interesting and helpful since their content are very informative and I'm learning a lot from it. Love this blog, I found it very informative, especially since I have recently started selling unique European chocolates. Your post helps me get some more information about what is out there in terms of chocolate. Chocolate is not only nutritious and great tasting, it's full of antioxidants which help to fight cancer and other aging disease conditions. When a baby is born people want to celebrate. They gather their friends and relatives together and joyously exclaim that a new child is born to a family. In the past, when smoking was more common real cigars were handed out to the men to celebrate the occasion. The healthier and yummier option to celebrate is to have a chocolate cigar. The Hershey chocolate company recognized that there might be some interest in chocolate cigars and in 1895 they began manufacturing them. They were very popular with men, women, and children. The chocolate cigars were debuted with chocolate cigarettes and were marketed to women because they were an alternative to cigars. They were called Hershey’s Vassar Gems and Smart Set Cigarettes. I'm not shooting for a spot on the list (I'm a writer, not a professional baker), but I have posted a great brownie recipe. I am a small producer of raw chocolate based in bali. I am looking for a smart raw chocolate spread recipe with only liquor, sugar and vegetable oil (what oil? ), no dairy, no nuts. Unfortunately, I don't ... but I'd love to see one.. Whether you are cooking for your sweetheart or your son's soccer team, any dish made with chocolate will be a surefire hit. Chocolate's extraordinary flavor adds richness and depth to both sweet and savory dishes, from sumptuous cake to light-as-air mousse to exotic Mexican molé sauce. Surprisingly, though, dark chocolate is a different story. Most people don't know about the many health benefits of dark chocolate and they should because it can prove to be a blessed addition to any weight loss process. 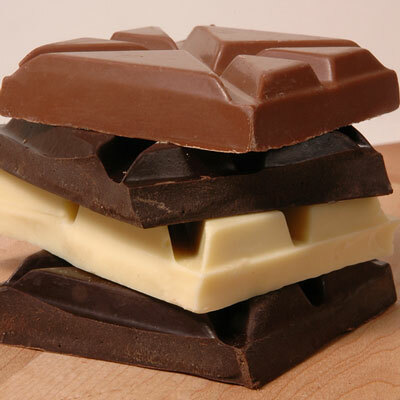 Oh my, never knew there where so many blogs about chocolate, very interesting, it is huge an addiction. What about cocoa-heaven.com? Their snarky writers are fun. I just started a 'chocolate recipes' blog myself as I love chocolates. Your list of 50 top chocolate blos is as delightful as eating the delicious chocolates. I can now spend my time browsing through ll information related to my love - Chocolates. Very well written with nice chocolate information. I simply love chocolate and can't get enough of it! You forgot to mention, www.chocozonia.com . Great list. I noticed that some of these hadn't been updated in a little while though. Cupcakes y Brownies en familia y para todos.